Start taking classes at Coreworks Fitness and other studios! 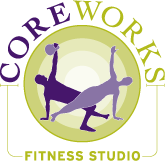 Coreworks specializes in Pilates, Yoga, Barre, and other core strengthening disciplines available in small group classes. They offer top of the line equipment and have all of the small props that would be used in the classes. They have two studios and offer over 80 classes per week. The Laurel Studio is at 11200 Scaggsville Road. When using the GPS put the address in as Fulton with the zip code 20759. The Columbia Studio is at 9160 Rumsey Road, Suite B4, Columbia. This is my favorite class at CP! Abril is thorough and pays attention to every client individually. Her class is tough but exhilarating. Super class!! Joanna is very attentive and changes up the exercises working different parts of the body. I was the only person in this class so it was awesome to get the one on one treatment. Sara was very patient and thorough and answered all of my questions.